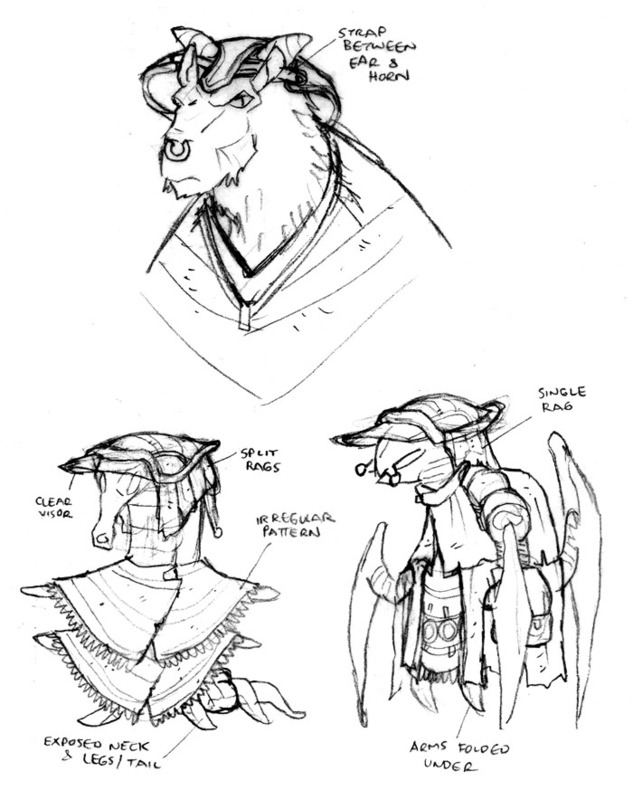 And here we have the final versions of all three Kaagan-Vas rustlers. I wanted to give Baso a hat to make him stand out from other Ulon Dosi and to also match the other rustlers. Obviously, his doesn’t have any neck covering though since he doesn’t have a KV tattoo that needed to be concealed. With Warsaw, I finalized the look of his hat and also added some pattern detailing to his outfit to match Baso’s poncho pattern. With Uskulon, I ditched the lower body coverings and changed his hat. Ultimately, when I got around to actually drawing the story pages, I changed his hat one last time on the fly. I decided that this one was a bit too similar to Warsaw’s and I wanted them to be a little more different. So I went back to the rice paddy look. With Bocce’s flashback design, I knew his outfit would be based on the one he wears in the present. Since his present-day black outfit is a cultural thing, I figured his flashback outfit would only make sense to have a similar look. The only thing I tried to do with it was to make it a little more rural in feel to go with the farm setting. And the hand-towel around the waist. Because who couldn’t use a hand towel every now and then. Especially on sloppy joe day. The next several sketchbook pages will focus on the farm from the Bocce Flashback sequence. I was at a real loss with this one when starting out as I had no idea what I wanted. Usually I have something in mind that gives me a nice starting point, but here I had a crippling blank canvas. The only thing I knew was to rule out a whitewashed adobe look since that would be too much like the Lars homestead from Star Wars. 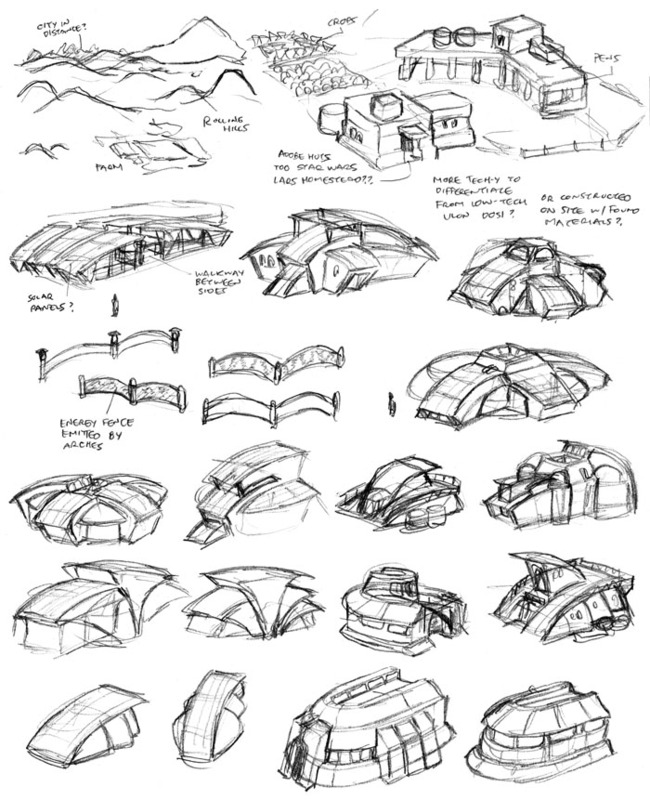 On this page, I was just spitting out building shapes to see if anything grabbed me. Not much did. 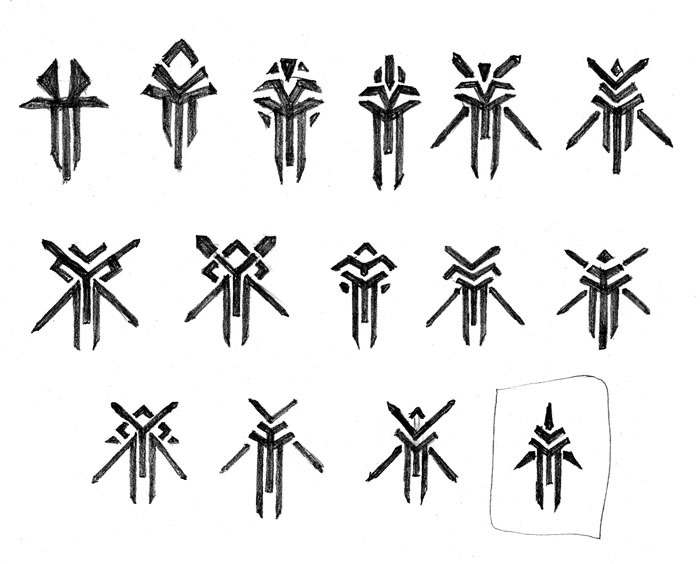 They all seemed a bit too busy, especially for simple farmers, and none of the shapes were terribly distinctive or memorable. I did like the U-shaped buildings at the bottom, which were based on the U-shaped cuts in Bocce’s shirt collar. 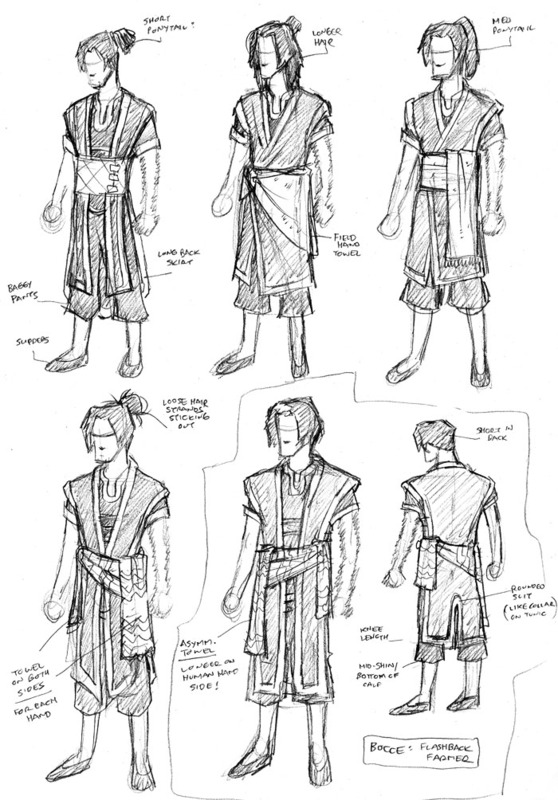 I thought that one design element would be a nice way to tie back to the cultural look of the clothing, and it ended up being a nice starting point for the basis of their architecture. 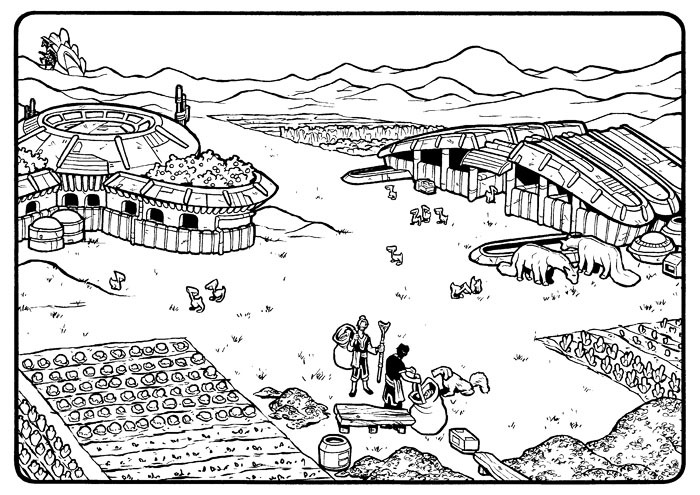 With this page, I started to figure out the basic look of the buildings for Bocce’s farm. 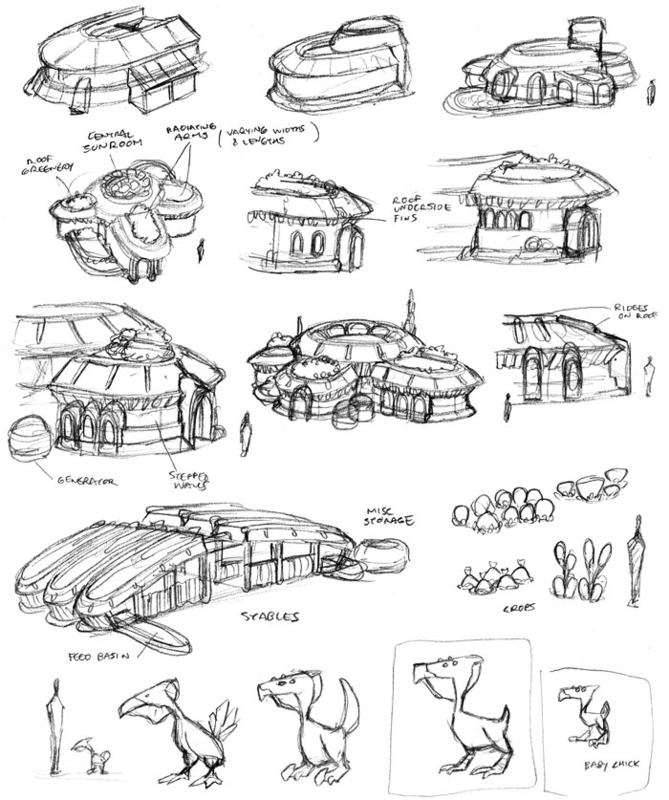 I liked the idea of a central room with radiating U-shapes. I also repeated the U-shapes in the doorway arches and window frames to try to get a nice unifying theme going on. It’s also pretty apparent in the stables, both in the roof shapes and the feeding basins.